Top Left: Poster, Bottom Left: Web Header featured on LAL's website. Right: Front and Back of Postcard mailer. Below: Front and Back options of a business card handed out during Lexington's Friday Night Market, to help promote the beginning on the residency. Each of the artists works were featured on the cards. 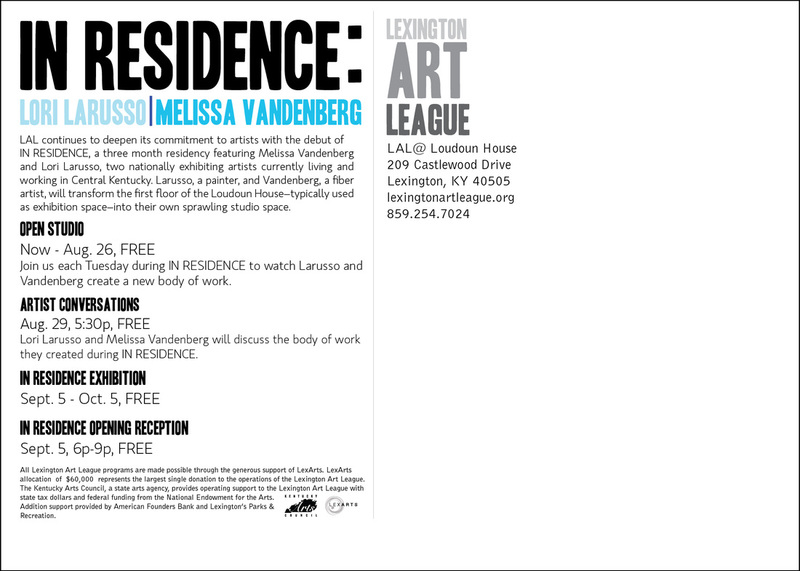 For the first time the Lexington Art League began an artist residency program. 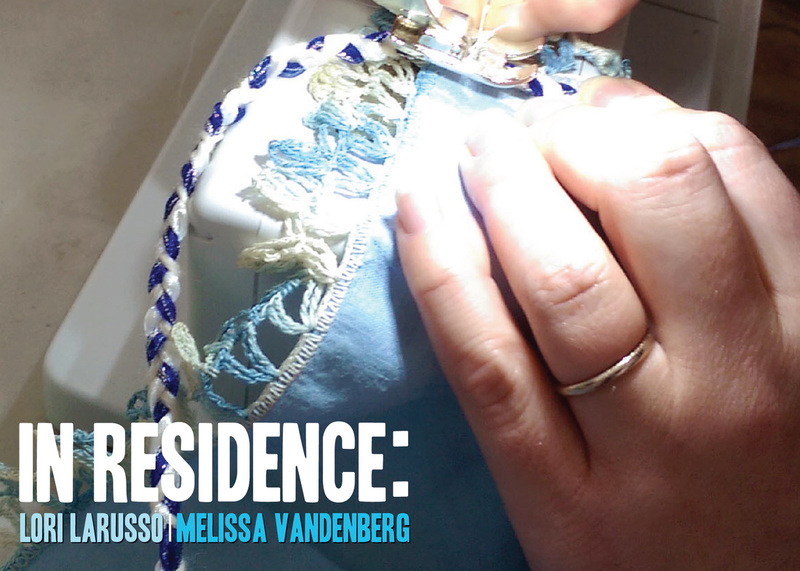 Both Melissa Vandenberg and Lori Larusso were brought in over the summer to make a collection of new work, that the public could see in the process of its development, which would end up in an exhibit in the beginning of September. A Poster, Postcard, and web promotions were needed in order to advertise the residency and welcome people to visit the artists during the process, so the focus of the design was to showcase the idea of 'making'. Photographs were collected of both artists as they had started puttying their work together. 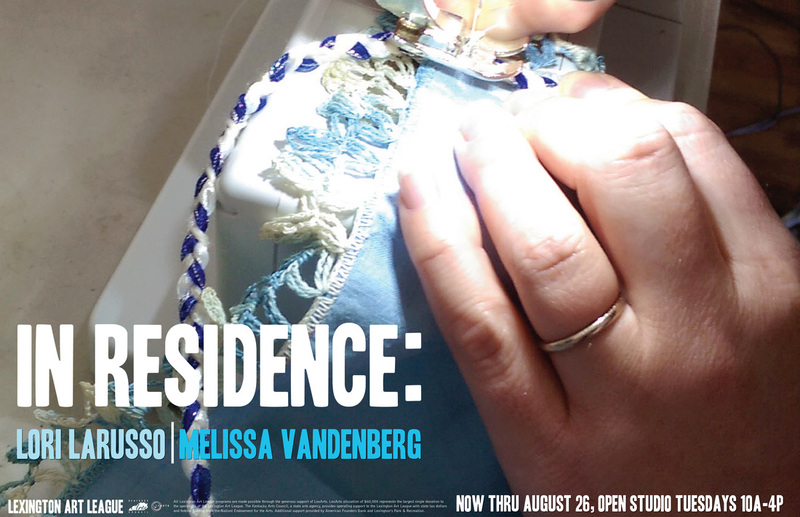 And Melissa Vandenberg's hands were used to showcase this process.